Mrs. Geragotelis has kindly shared some inspiration and great wisdom on how to use self publishing to your advantage. Don’t you love when those who are successful give back? The interview will be posted this Saturday, Apr. 7. Check back then to get juiced up for your own success. Finally a male other than Nicolas Sparks claiming some market share in the romance genre. 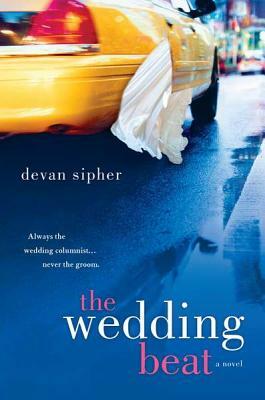 Devan Sipher, A New York Times wedding columnist, released his novel The Wedding Beat yesterday. Straying from the lonely damsels or wanton-women reads one can find on their drugstores’ local shelves, Sipher tells the story of a successful bachelor’s desire for wedding bells. To think the media would have us believe there were no more straight men in America left who wanted to get married. Well Sipher finds a way to stick it to the media while maintaining a positive image in the media. As Jen of Devourer of Books published on SheKnows, Sipher’s story follows Gavin Green, a columnist for The Paper. “One New Year’s Eve, Gavin’s luck seems to change and he meets the woman of his dreams. Melinda is a dimpled, travel writer who seems to be just as into him as he is to her. Just as Gavin is about to get Melinda’s number, though, she is swept away by another man. Gavin would give anything to find her once again — hopefully before he finds himself writing about her wedding,” Jen wrote. There seems to be a lot of promise with this novel. Sipher used his own life experience when writing, trusting the wisdom, the best art is truth peppered with exaggeration. The reviews are all great, people are tweeting like crazy, and it’s a nice reminder men need love too. Plus the author is a nice guy, qualities that are pertinent for romance writers. When I asked him to answer a few questions for my blog, he said, yes . . . after I get sleep. What more do you need in a romance novel? Get out to Barnes & Noble, Books-A-Million, hop on Amazon, and buy your copy of The Wedding Beat today. Well its definitely not that bad. But I would say a uniform music theme and art would definitely create a strong msg. Like you have real life images and then paintings merged in between. Nobody wants to see a nuke bomb illustration. The music in the beginning was too dark and grave like a horror movie. Good thing, I liked the narratives they were precise and conveyed the msg. 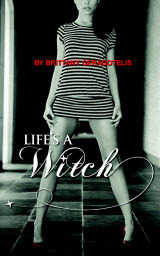 Brittany Geragotelis, author of Life’s A Witch, is finally being published after years of rejections from agents and traditional publishers. As described on Amazon, Life’s A Witch tells the story of a powerful witch who must lead a band of teenage warriors in a war that will redefine their lives and their world. When her work was not readily accepted by publishers, Geragotelis turned to the writing community Wattpad to garner a fan base of millions of readers around the world, as written by a Createspace blogger. The Createspace blogger continued to write, by Jan. 2012 she found herself in an auction with several major publishing houses, which ended in a three-book deal. Geragotelis’ unfailing determination to turn no’s into green yes’ is an inspiring lesson for anyone who owns a stack of rejection letters. Shiver by Maggie Stiefvater is a NYT bestselling young adult novel, the first in the Wolves of Mercy Falls series. From the reviews I read, it seemed to me to be along the lines of Twilight. Her amazing ability to create trailers as seen below drew me in. The middle of this story is really, really douchey. It’s like when your friend falls in love, and it’s fun to talk about the boy she likes for a little while; and then your eyes glaze over, and she’s still talking; and then you get a little uncomfortable about the obscene level of detail she’s giving you (about what they ate for breakfast and how their elbows touched like fifty times, nothing exciting), and she’s still talking . . . I just wanted these kids to get a room, and then they did get a room, but kept telling me about everything. Gag. It was like being the third wheel in a makeout session that lasted foooooreeeeveeeer. More of this Review can be read on Goodreads. Personally, I’m still checking out a book by this author. She is, afterall, a successful writer in my genre.